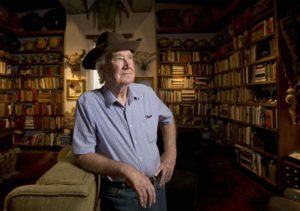 Forrest Fenn, a retired American art and antiquities dealer claims to have hidden a treasure chest in one of four States of the USA: New Mexico, Colorado, Wyoming or Montana. He says the chest is located somewhere in the Rocky Mountains. 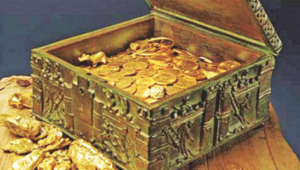 Forrest has stated the chest contains hundreds of gold coins, gold nuggets, antique bracelets, antique carved figures, necklaces, diamonds, emeralds, rubies and sapphires. Estimates of the value of the contents range from $1-4 million. The chest itself is an antique lock-box of dimensions 10 x 10 x 5 inches, manufactured from cast bronze. Forrest has said the chest alone is worth ~$50k. Fenn has written a book, published in 2010 called ‘The Thrill of the Chase’ that includes a poem made up of 24 lines divided into six stanzas. He says this poem contains nine clues that when deciphered lead to the location of the treasure chest. According to Fenn, no one yet has found his treasure. To find it a Searcher will have to decipher his poem. 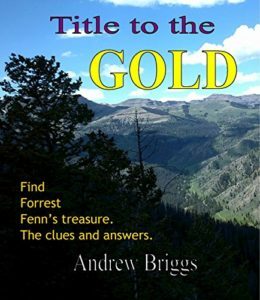 Andrew Briggs from the UK, a big fan of puzzles and cryptograms, set out to solve the riddle of the Forrest Fenn poem. He believes he has solved most of it. Andrew says he has identified the nine clues and deciphered the answers. There is some credence to his claim as Forrest stated in a radio interview with santafe.com that Andrew ‘had a lot of his treasure poem riddle figured out’. Andrew says that further confirmation is given by information Fenn has put for clues and answers in multiple places within articles he has written. ‘go west past a big lake, mirror the road you’re on and look, heading west, for a grey sign’. The decryption and directions are detailed in an ebook called Title to the Gold. Andrew discovered that Forrest had included an extra step within the secret message for Searchers to overcome to obtain the last bit of information required to complete the set of directions. He says this is where he was ‘stumped’ but he thinks Searchers with fresh eyes may find a new approach to that final bit. 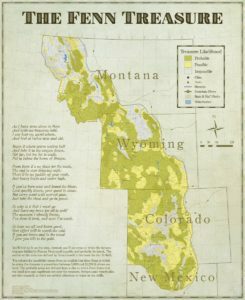 The main part of the directions he has revealed reduces the search area to a relatively small zone of one of the national forests in the Rocky Mountains of the USA. Andrew says this means that even with different interpretations for the final part of the directions, the task of searching for the treasure no longer seems equivalent to looking for a ‘needle in a haystack’ but more the equivalent to looking for a ‘needle in a very small hay bail’. By zooming in on a small area, Andrew believes the treasure will be found by a Searcher scanning that area or by completing the last part of the directions to take them straight to the treasure chest. He would love to be vindicated by someone finding the treasure using the directions he has revealed. Andrew concluded with this comment ‘in my view specialist treasure hunting guys will have the best chance of finding the treasure, so I’m trying to get those kind of guys into the search area’. So, If you fancy a trip to the USA then it could be the best trip you’ve ever taken.